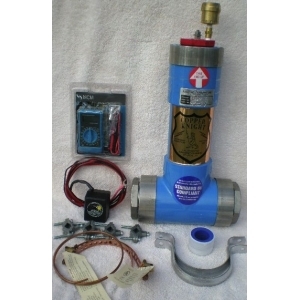 The “M-1” COPPER KNIGHT is designed for use in most residential piping systems having a .75 to 1.00 inch water meter connection, and a maximum static line pressure of 80 PSI. M-1 COPPER KNIGHT housings are constructed of virgin type 1 PVC schedule 40 pipe and fittings. 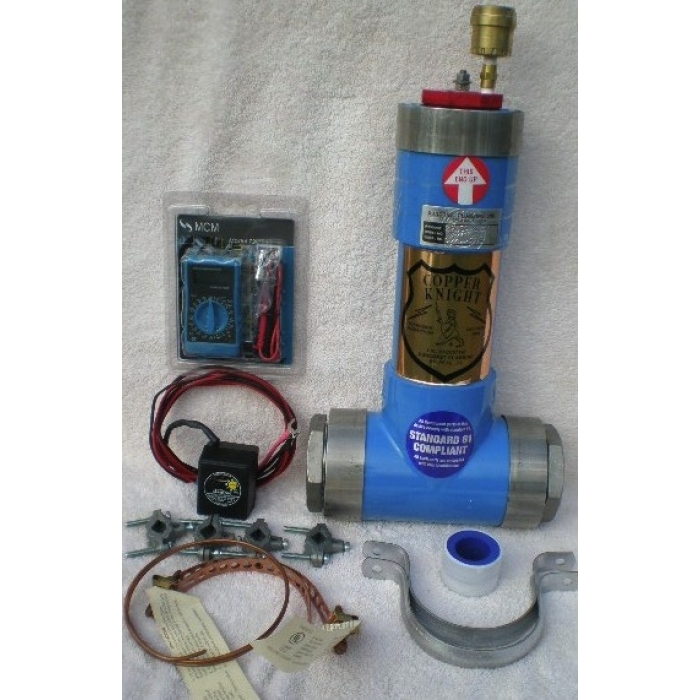 Galvanized steel adapter bushings are used to provide a durable attachment point for connections to the house piping.